The city of Boston is an amazing place to live, with tons of fascinating history, beautiful parks, and delicious food (looking at you, North End! ), and it’s one of the few places in America where you can get by without a car. However, there are also a lot of great things outside the city that make it nice to have a car: days at the beach, drives through the mountains, and, of course, trips to the region’s famously quaint small towns. These are a few of the best day trips from Boston – and some of them are only an hour away. After spending one fun day in Boston, go see these great spots. 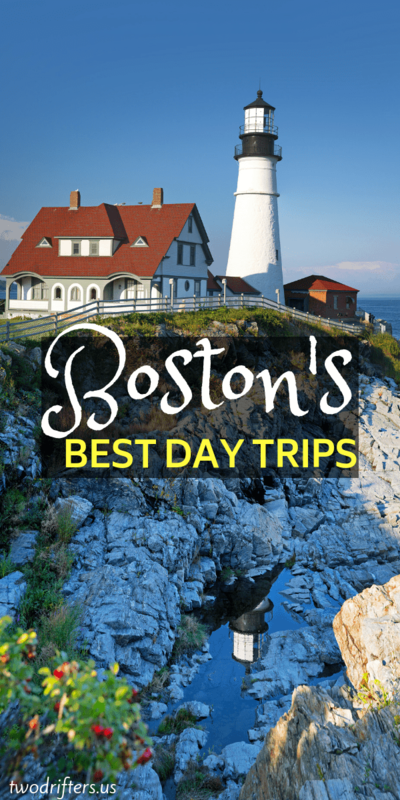 Awesome Boston Day Trips that are Totally Worth it! 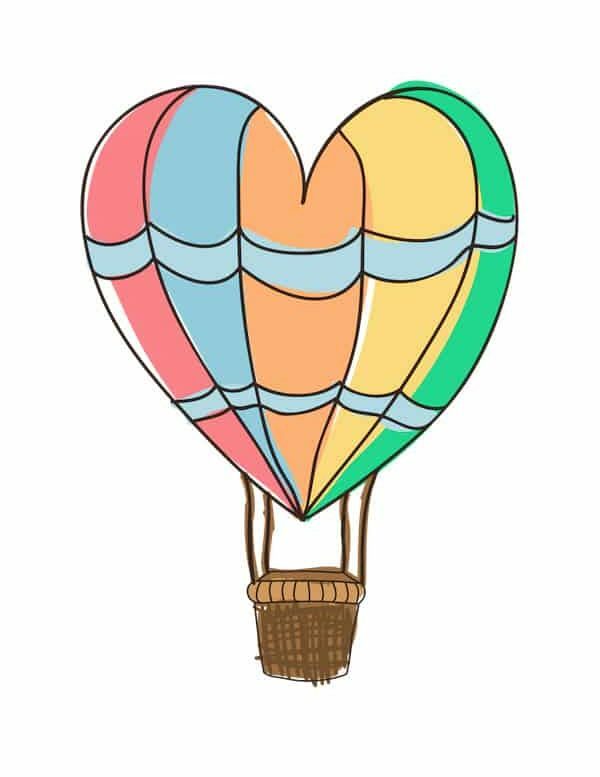 This is a guest post by Ryan of Passions and Places. One of the top places to visit near Boston, this one is barely even outside the city; it takes just under an hour to drive from Boston to Hingham, and it’s even accessible on the commuter rail, if you’re willing to take a twenty-minute stroll to reach the downtown area. Despite its proximity, the town feels a world away from the bustle of Boston, and has plenty of the cute shops that people visiting New England love to see. For lunch in Hingham, try the Bloomy Rind – there’s not much seating, but they’ve got an impressive selection of gourmet cheeses, and excellent sandwiches that incorporate them. If all tables are full, walk a few minutes down to Bathing Beach, where you can watch the boats sail in and feel the waves gently crash at your feet. If you feel like getting out on the water, SUP SONAS and SUP YO both run stand-up paddleboard yoga classes here in the summer; check their websites for schedules. Just a couple miles down the road is one of the crown jewels of the Boston area, Worlds End Park. Though it’s part of Boston Harbor Islands park system, it is fully connected to the mainland and offers leisurely hiking along two large hills with exceptional views of the Boston harbor and skyline. Worlds End is also a great spot to have a picnic, or just relax in the grass and read. Less than two hours from the city, Mount Tom is another great day trip from Boston. Mount Tom has been a popular spot for getaways from Boston for over a century now, though the area has seen its share of challenges. The Mount Tom Hotel was built at the summit in 1897, but it burned down just three years later. It was then rebuilt, only to burn down again in 1929. An amusement park was later constructed, but was shuttered in 1988 when larger ones opened nearby. It was also once the site of the Mount Tom Ski area, which closed in 1998 – the ruins of the chairlifts and a few buildings are still visible at the summit. In the winter, if there’s enough snow and you pack a pair of skis or a board, you can still make your way down a run or two. 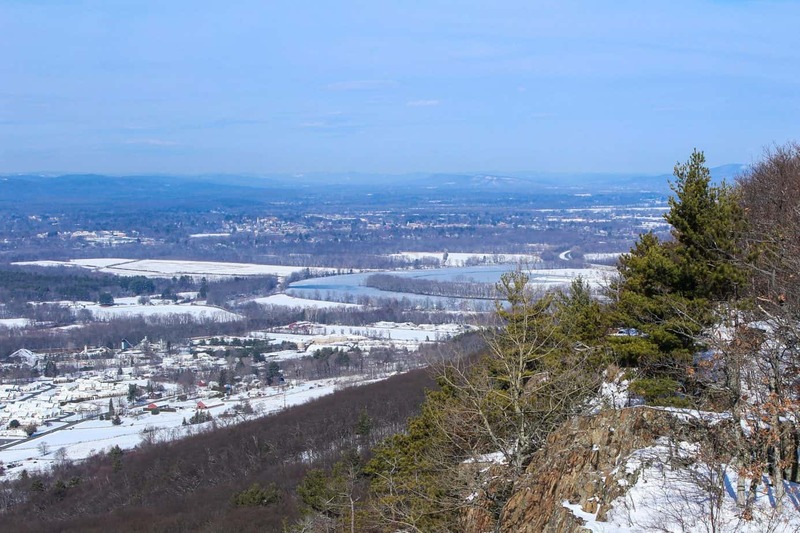 Regardless of its difficult history, the reservation is an excellent place for a day hike, with 1,100-foot cliffs overlooking the Connecticut River Valley. The main trail, which traverses the spectacular cliffs, is the 114-mile Metacomet-Monadnock Trail, but there are plenty of side trails leading off of it for those who don’t want to make the big climb. The flatter trails are short, and cross the park from east to west. They don’t have the impressive views of the main trail, but retain the quiet beauty that all New England forests seem to have. There’s also a short, three-mile round trip trail on the northern end of the park that leads to the ruins of the old Eyrie House Hotel, which burned down in1901 (this mountain was plagued with fires). For some post-hike refreshments, Fort Hill Brewery is only a few miles away in Easthamptom, and they serve great German-style beers and have live music on Thursdays and Fridays. Looking for adventurous day trips from Boston, MA? The city itself is full of great cycling trails, like the Charles River trail, the Minuteman Bikeway, and the Southwest Corridor Park. But what if you want to ditch the urban landscape and experience some wide open spaces on your bike? Cape Cod is the place to go, with its nationally-renowned Shining Sea Bikeway. 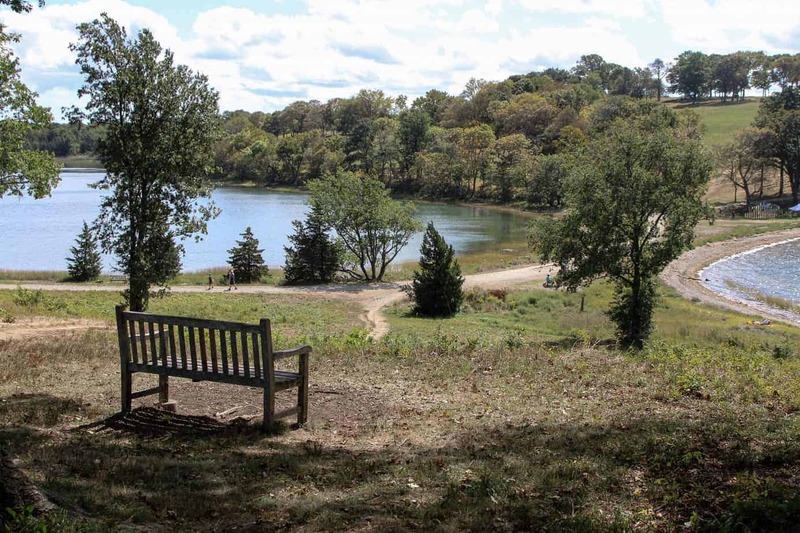 The 22-mile out-and- back trail begins in North Falmouth, just over an hour from Boston. The trail was built on the remains of the Old Colony Railroad and extends down to the ferry terminal at Wood’s Hole, where ships depart for Martha’s Vineyard. The route passes next to a couple of cranberry bogs, some charming Cape Cod-style houses, and a stunningly beautiful beach before reaching its terminus. It’s suitable for riders of any fitness level and generally takes an hour to an hour and a half each way. Bring your own bike or rent one from BikeZone for $20/day – they’re conveniently located at the trailhead in North Falmouth. There are lots of other things to do in the area, but this trail is one of my favorite things about taking a day trip from Boston to Cape Cod. Another of the top short day trips from Boston is just an hour or so north, on the coast of New Hampshire. Portsmouth, like Boston, is one of America’s oldest cities, and it was once a major seaport and naval center. Fortunately, it’s retained some of that fascinating history with the Albacore Museum (a Cold War-era submarine you can tour) and the Strawbery Banke Museum (an open-air time capsule of the city’s perfectly preserved 17th and 18th century homes). Boutique shops and restaurants line Market Street and Congress Street, providing an upscale shopping and dining experience that will make any Bostonian forget they’re in a town of just 22,000 people. A number of islands dot Portsmouth’s harbor, with Seavey’s Island containing the still operational Navy Yard and a defunct military prison. Four Tree Island is connected to the mainland by a pair of bridges, and is an excellent place to sit back and watch the fishing boats coast into port with their daily catch. 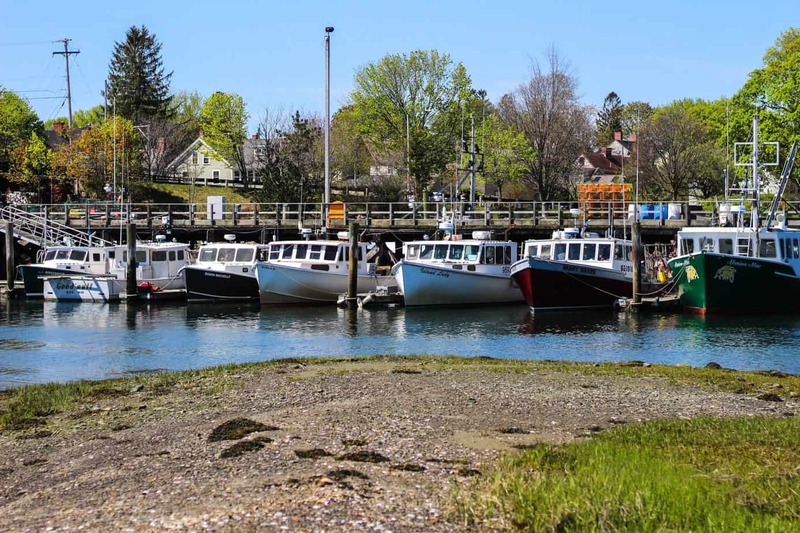 If you’re more of a deal hunter, head across the river to Kittery, ME, which is home to over a thousand outlet stores including Banana Republic, Calvin Klein, Eddie Bauer, and Lululemon. There’s also the Kittery Trading Post, one of the largest outdoor retailers I’ve ever seen and with gear for every sport imaginable. While people from further West may call it the “The Other Portland,” this town, just two hours from Boston, is quickly becoming a hipster enclave. With cobblestone streets and picturesque lighthouses, this Portland is definitely more picturesque than its West Coast counterpart. As the second-largest city in the region, it’s easily one of the best day trips in New England. Portland has all the city amenities you could want and a surprising amount of culture packed into a relatively small city. The food is topnotch, with some of America’s best chefs locating their restaurants there, and it has more microbreweries per capita than any other city in the country. The arts scene is burgeoning too, with dozens of galleries to peruse along Congress Street. For something different, you can also enjoy a romantic evening outdoors. Rent a kayak from Portland Paddle and take a sunset cruise around the scenic Casco Bay, enjoying the views of the skyline. Click here to check out more things to do in Portland! Another twenty miles down I-295 is Freeport, northern New England’s second outlet shopping center. It’s also home to the flagship L.L. Bean store, which every outdoor enthusiast should take a pilgrimage to, just to see its enormity (six buildings, open 24/7, 365 days a year). There are so many interesting places to visit around Boston, and these are some of my favorite spots to get outdoors in the area. Thanks to its relatively small size, it’s never hard to embark on great day trips around New England. No matter which direction you drive, you’re sure to find some sort of adventure. About the author: Ryan Victor is a freelance travel and outdoors writer with a love for the mountains, the water, and sometimes even the city. He and his wife recently left their office jobs in Boston to travel the world and work online. They’re currently in Southeast Asia, and blogging about their adventures at Passions and Places. But wait, even MORE ideas for Boston day trips! Need more ideas for day trips near Boston? We Two Drifters have added even more suggestions for you. If you don’t have your own car, or simply would prefer a guided tour, there are plenty of Boston day trip options available. 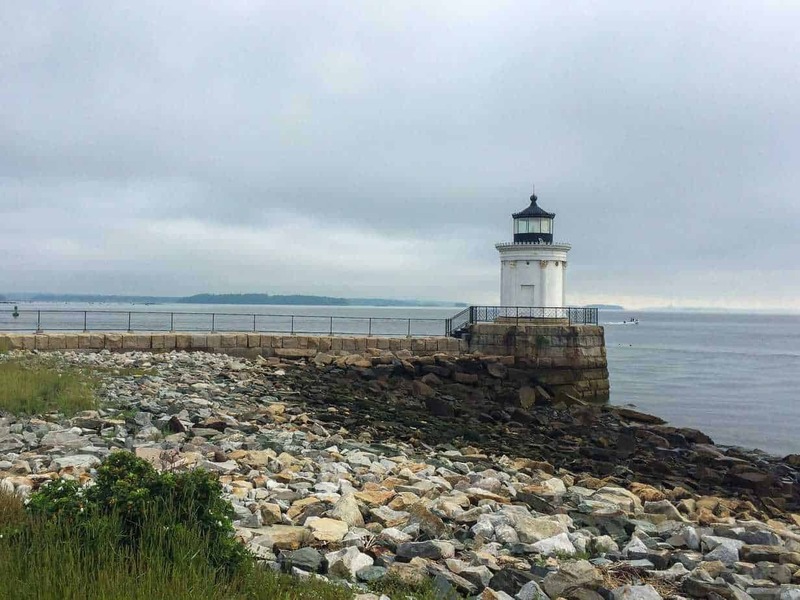 You could opt for a Boston to Martha’s Vineyard Day Trip, a private guided tour to Salem, MA, a group day trip to Salem, and a Boston to Newport day trip, where you can see those beautiful mansions. When it comes to road trips from Boston, there may be no better choice than Salem. This witchy, spooky town is best in October, but it’s awesome at any time of year. There’s tons of history here (a lot of it very heartbreaking) but the Salem area truly is magical. And there’s more to do here than just learn about the Salem Witch Trials. You can check out some of the spots where to Disney classic Hocus Pocus was filmed! We haven’t been to this region yet, but our friends share their Top 10 Things to Do in Connecticut’s Litchfield Hills in this guest post. It definitely looks like a place we’re keen to visit. Northampton is a hip and artsy town that draws folks from all over. Just under 2 hours from Boston, it’s far enough away that it feels like an escape, but definitely still has an urban vibe. We loved the coffee shops in this area, plus there are loads of outdoor activities like kayaking along the Connecticut River. Okay, this might be a stretch for a true day trip from Boston, but if you want to pop up to Vermont for a weekend getaway, Manchester is a great town. Quaint, not-too-big, and a perfect mix of shopping, dining, and outdoor adventures, there is plenty to do in Manchester. It’s a classic Vermont town that thousands visit each year.